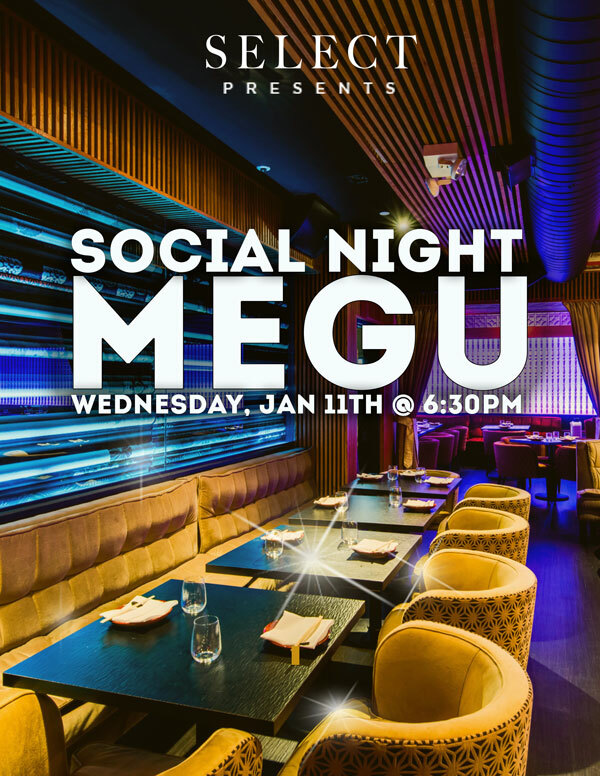 The New Year is about to begin, and with it comes our first Member event of 2017 – a special kick-off Social Night at the sleek, brand new Megu in Chelsea! Join your fellow Members as we start the New Year in style at this beautifully appointed hotspot, with complimentary cocktails from 6:30-8pm, passed light fare, and warm company! Members are also invited to stay on for a special, one-night-only benefit of 30% off their full bill with dinner reservations at this new SELECT Partner. Come unwind with us at the event and/or reach out to the Concierge to secure your dinner reservation. We look forward to seeing you there!